Mark Snow studied music at the Julliard School where he played the oboe. Since then he has played an active part in television music for three decades with many themes and episodes of incidental music to his credit from numerous series. In that period his work has been particularly notable for its early adoption of computer-based music, where he has followed closely behind pioneers such as Brad Fiedel. A particular success for Snow in that genre is undoubtedly his highly successful theme to that highly successful television series, the X-Files. His incidental music matched the mood of the series, often dark and eerie and suggesting mysterious things which might or might not be around the next corner. When the episodes occasionally lightened up with a touch of humour, then so would the incidental music helping the self-parody along. Having contributed so much to the mood of the TV series, it was natural that Snow would also do the movie score too - this is available from Amazon.co.uk or Amazon.com. One of Snow's most recent series is "Smallville" the continuing story of a young Superman. In one episode of this called "Rosetta" with special guest Christopher Reeve, the currently wheelchair-bound Superman film actor playing the part of a scientist called Dr. Virgil Swann researching the planet Krypton, Snow quoted from John Williams' theme from the movie. Snow is now working on a new series of Kojak starring Ving Rhames as the bald detective, based on the character created by Telly Savalas for the original series. There was an 80th Birthday tribute concert to the composer Jerry Goldsmith held at the Fimucit� festival in Tenerife in 2009 (5 years after the composer's death in 2004). The conductors for the concert were Mark Snow and Diego Navarro, and the concert has been released on a combination DVD/CD (see Screen Archives). 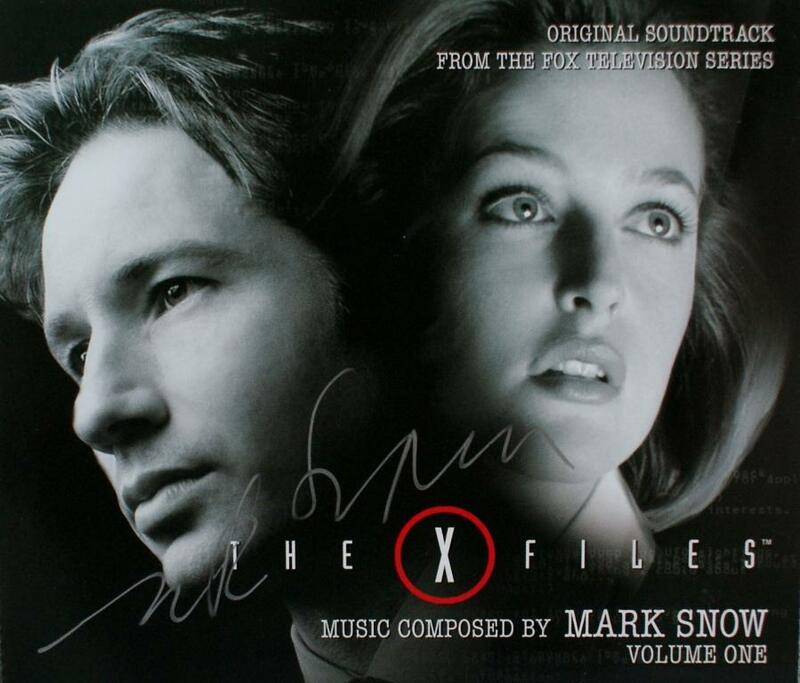 X-Files - the theme alone was quite a hit, but Snow did all the series incidental music too. Here is a CD cover signed by Mark Snow. Our thanks to Petr Kocanda for permission to use his collection of autographed CDs. Click the thumbnail below to see the image full size in a separate window.